Former President Olusegun Obasanjo said he left in the national treasury over N287bn, made up of $2bn, £100m and N10bn in cash and property, being the loot recovered from the late dictator, Gen. Sani Abacha. 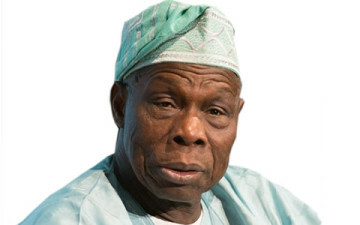 Obasanjo left office as President in 2007 after serving two terms of eight years and handed over to the now late former President Umaru Yar’Adua. an average exchange rate of N247.99 to a pound in the same year. The former President said the funds were paid into the treasury through the Central Bank of Nigeria. Obasanjo’s revelation was contained in the Vol. II of his memoir, My Watch. His take on the Abacha loot is slotted under the sub-heading “Recovery of looted funds” on pages 494 and 495. “In total, by the time I left government in May 2007, over $2bn and £100m had been recovered from the Abacha family abroad, and well over N10bn in cash and properties locally. All were paid to the public treasury through the Central Bank. The former President said that there was a time he got a report that £3m cash was seized from an agent of the late military dictator by customs officials at an airport in UK and that the British authorities asked the Nigerian government to prove ownership of the money. He said the British government however refused to release the money to Nigeria despite showing details that it was taken from the CBN. “I went to London to have a meeting on another important issue with (former British Prime Minister) Tony Blair and I took the opportunity to raise the issue of the £3m, using the Yoruba anecdote of the thief who stole palm oil from the ceiling cupboard by getting somebody to help him so as not to spill the red palm oil on himself or the floor. The man who assisted became an accomplice. Tony got the message and the £3m was released to Nigeria the following day,” Obasanjo stated. A former finance minister in the Obasanjo administration, Dr. Ngozi Okonjo-Iweala, told The PUNCH last year through her Special Adviser on Communication, Mr. Paul Nwabuikwu, that contrary to reports that the sum of $2bn was recovered from the Abacha’s loot, only $500m was recovered under her as Obasanjo’s finance minister. The minister made the clarification amid differing figures on the actual amount recovered. For example, the pioneer Chairman of the Economic and Financial Crimes Commission, Mallam Nuhu Ribadu, had in November 2006, in London, said Abacha looted over $6bn from Nigeria and that $2bn of the loot had been recovered. He mentioned same figure in the same month during the 12th International Anti-Corruption Conference in Guatemela and later in Dakar, Senegal, at the 2nd Annual High Level Dialogue on Governance and Democracy in Africa.